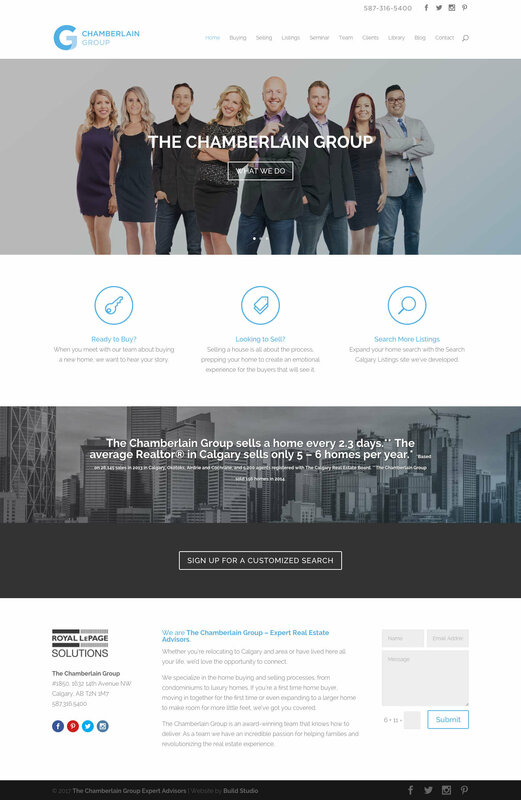 The Chamberlain Group is one of the premiere real estate agencies in Calgary. Their attention to detail is second to none and it shows in their approach to marketing and design. They had an existing WordPress website but were looking for a fresh design and improved ability to convert people visiting their site into customers. We added some custom form software to the site which allows their staff to easily create lead generation forms for seminars and events.